Throughout the past 50 years, we have built a lot of different 21 foot boat. None of them are like the 210 SunCoast. From the seating to the helm, to the outboard power plant, we packed a lot of great things into a 21 foot length. The bow of the 210 leaves nothing to desire. Forward is an anchor locker with a hinged telescopic boarding ladder for retrieving the crew after a beachside party. 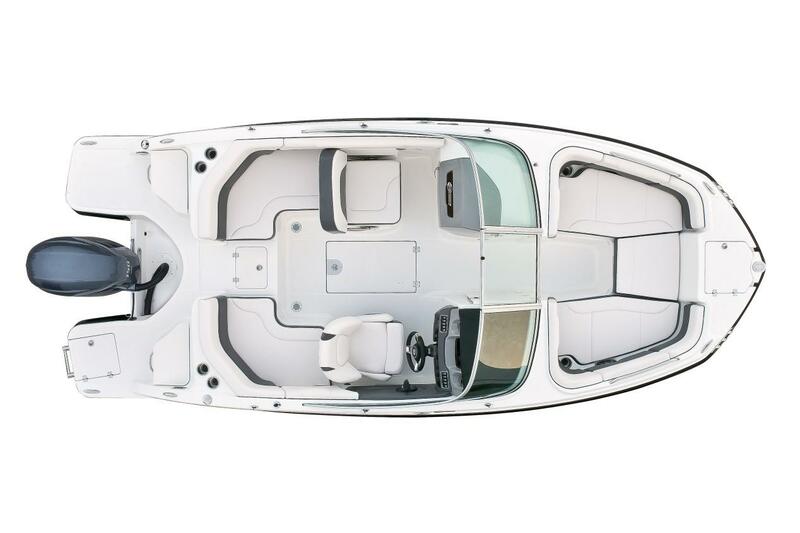 Wrap around upholstery allows for either multiple seating, or dual loungers. Drink holders, Speakers, and plenty of storage are things Chaparral just doesn't compromise on. Oversized stainless steel grab rails mounted on both port and starboard side are standard.